A unique laptop decal illustrating a hippie bird! Superb design for those that love tweeting and want to personalise their device. 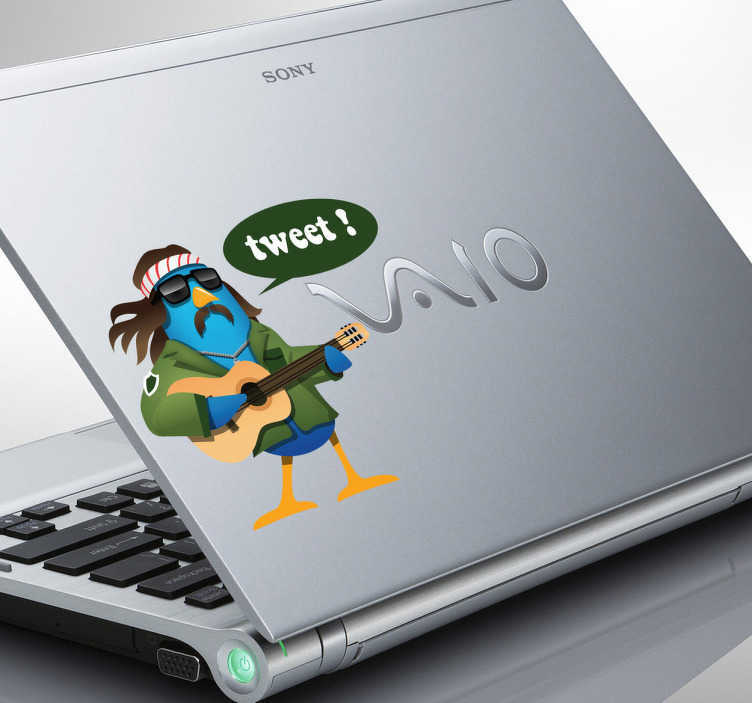 Great twitter wall sticker to make your laptop stand out from the rest! Easy to apply and leaves no residue upon removal.